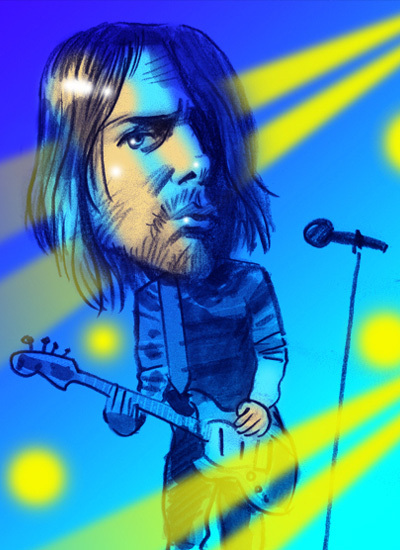 Top Earning Dead Celebrities: "Will Kurt Cobain sell cars? Perhaps. The Nirvana front man's music could start popping up in some unexpected places now that his widow Courtney Love has sold a 25% stake in his band's song catalog to Primary Wave, a New York music publishing company. Primary Wave, which paid a reported $50 million for its stake, has already struck a deal to feature Nirvana music in an episode of CSI: Miami. Now it is considering licensing the music to certain marketers. Meanwhile, Nirvana's recording catalog sold 1.1 million units in the U.S. in 2005 and is on track to come close to that total this year as well, according to Nielsen SoundScan. -"